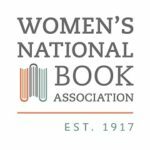 The Women’s National Book Association was founded with the purpose of supporting women in all areas of the book industry. With the advent of the Time’s Up and the #MeToo movement, we invite you to join us for a panel discussion designed to empower and inform anyone who has found themselves encountering or witnessing sexual harassment and discrimination in the publishing workplace. The event will take place on Thursday, March 8 from 6:00–8:00 pm at Penguin Random House (1745 Broadway). Moderated by Rachel Deahl, columnist and news director at Publishers Weekly.